Internet and mobile based social networking sites such as Facebook, Twitter, MySpace, Bebo, Blackberry Messenger, MSN, Live Profile, Android, and any such similar currently existing or future existing sites, as well as the recent phenomenon of ‘Blogging’ (writing an online and public diary) have become increasingly popular and Vale of Leithen Football Club is keen to ensure that its brand, officials, volunteers, customers and sponsors remain protected in what is a very open and public way of sharing information and images across the internet. 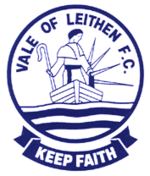 Vale of Leithen Football Club acknowledges that blogs and social networking sites provide individuals with a way of sharing their insights, expressing their opinions and communicating in a global environment. When you choose to go public with your opinions through a blog, social networking site or other openly accessible medium, you are legally responsible for those opinions. You should therefore be aware that you can be held personally responsible for any commentary deemed to be defamatory, obscene, discriminatory, proprietary or libellous (whether relating to Vale of Leithen FC, the club’s customers, sponsors, other individuals or any other football club, company or organisation). For these reasons, you need to exercise caution with regard to any derogatory, discriminatory or bullying remarks or characterisations, copyrighted materials, exaggeration or obscenity. In essence, what you post to the internet is at your own risk and other parties can pursue legal action against you personally for postings. Notwithstanding that you will be personally responsible for what you write or post, where what you post relates to your work (or work done by others) at the club, the Vale of Leithen FC may also be vicariously liable for what you say. You should also bear in mind that if you do anything outside of working for the club, which the club considers is inappropriate given your role or position, you may be subject to disciplinary action by the club. Vale of Leithen Football Club’s brand and media profile are exceptionally valuable assets which must be protected at all times. Use of the club’s logo, related brand images (including those of our sponsorship partners) and/or any other intellectual property owned by the club when social networking or ‘blogging’ without the express consent of the club is strictly prohibited. This includes photography of club premises, employees, volunteers or ex-employees or volunteers, whether or not you own the copyright to any such images. You may post photographs that are in the public domain to the extent that they or the use to which they are put does not bring the club into disrepute and provided always that your use of such photographs is not in breach of any other part of this policy. You must not post photographs which either as a result of your uniform, or location, identify you as a representative of the club. Care must also be taken to protect our brand and ensure absolute professionalism. You are reminded of your duty of confidentiality to the club. You are expressly prohibited from posting anything to the internet or similar medium that might in any way bring the club into disrepute. This includes ensuring there are no references to other football clubs and other clubs employees. During your engagement with the club, you will obtain confidential information in relation to the club, associated businesses, sponsorship partners, suppliers and customers. This information must not be shared with anyone, through any medium, for any reason – except in the proper execution of your duties – and must be kept strictly confidential, no matter how trivial it may appear. The internet is public domain and confidentiality must be maintained irrespective of any assurance that you may have been given as to local internet privacy arrangements for particular sites. Absolute and unquestionable confidentiality must be maintained when dealing with information either directly or indirectly relating to the club’s personnel, their families and business interests. Failure to adhere to the Social Networking and Blogging Policy may result in disciplinary action by the club, depending on the circumstances. Vale of Leithen FC will keep this policy wil be kept under review and may be amended by the club at its discretion at any time. • Unless you have been specifically authorised by the Manager or Secretary you should not make comment on team news, injuries, trialists, closed door games etc. • Avoid getting involved in online chats or message exchanges with supporters, either of Vale of Leithen FC or other clubs – anything you say will be considered to be in the public domain and can be reported elsewhere. • The internet is a public space. If you wouldn’t say it to the Manager, an Official, a fan or a journalist, it’s best not to post it online. • Any comment or photo you put out makes an indelible impression online – you might think you have deleted it, but it will be recorded and remain accessible on internet archives such as Wayback. • Above all else social media can be a great way to keep in touch with fans and friends and to raise your profile – enjoy it.